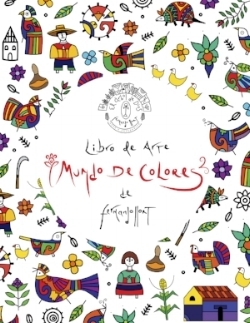 Get a free SAMPLE OF fernando llort'S COLORING BOOK "MUNDO DE COLORES"
Just fill-in the form below with all the required information and you will receive a free sample on your email. Yes, I want to receive the latest news and offers from Fernando LLort. Thanks! Very soon you'll receive an email with your free sample. We hope you get inspired coloring-in Fernando Llort's designs! Remember you can order a complete physical version of the book on our website. Thanks again!